Defending corners lesson 2 is online now. This is a lesson for DDK and SDK players. Enjoy! White to play next. Which moves are good and which are not? Invasion shape by shape 08 lesson C is online now. This is a lesson for intermediate level. Against Black's invasion move 1, should White play A or B? I wish you a nice spring weekend! Defending corners lesson 1 is online now. This is a lesson for DDK players. Enjoy! 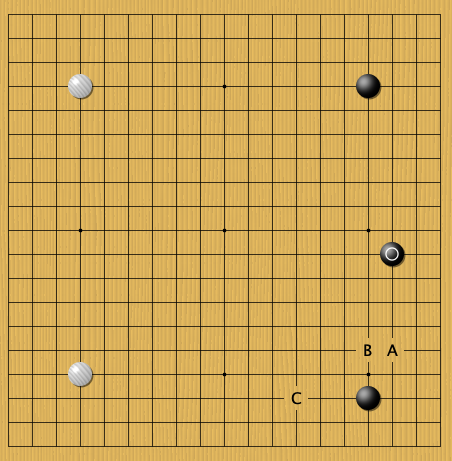 To defend this Black corner, which moves are good and which are not? Invasion shape by shape 08 lesson B is online now. This is a lesson for intermediate level. 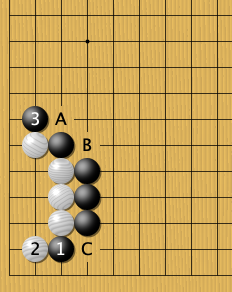 White move 2 is an overply, but how to handle it? Thank you very much for supproting me! I wish you a very nice weekend! Approaching corners lesson 3 is online now. This is a lesson for DDK and SDK players. Enjoy! Invasion shape by shape 08 lesson A is online now. 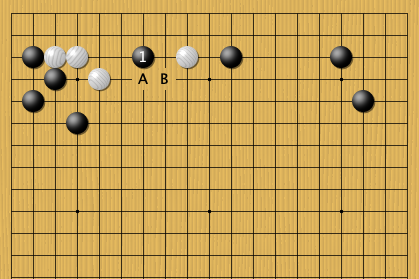 This is a lesson for intermediate level. Approaching corners lesson 2 is online now. This is a lesson for DDK players. Enjoy! 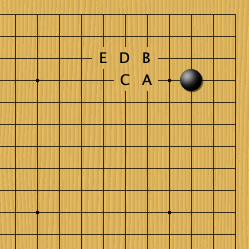 Is the door of this Black corner at A area or at B area? The problem set for Large avalanche lesson 16 is online now. This is a lesson for strong players. White to play next. A or B? 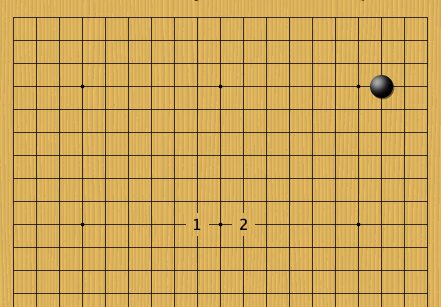 I have completed the problem sets for Joseki series of Large Avalanche. Thank you very much for supporting me! Approaching corners lesson 1 is online now. This is a lesson for DDK players. Enjoy! How many doors this Black corner has? 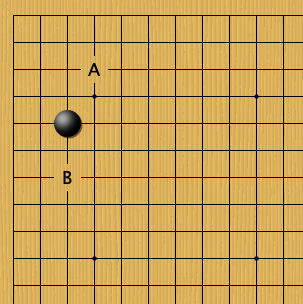 YoungSun Yoon 8p continues her series on AlphaGo moves. Today, we will have her 3rd lecture on AlphaGo 3.3 invasion. 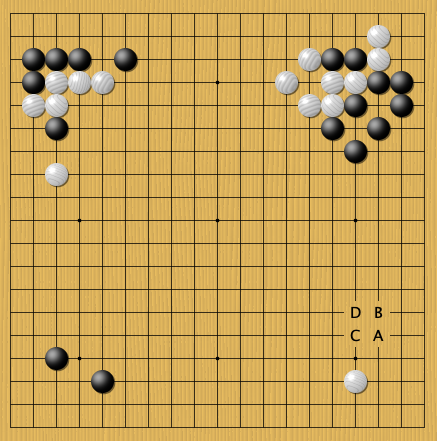 White plays next, which moves are good and which are not? 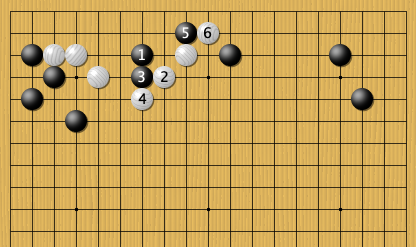 Last weekend I reviewed games for Open Study Room on KGS Go server. 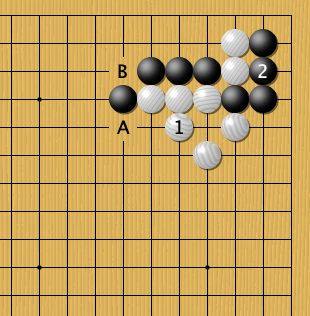 One of the games played by a 8k player who played this AlphaGo joseki. I was really impressed! I am glad you are trying these new josekis.